Jessica Jones is a retired superhero turned private investigator, she is the main character in the show of the same name and in The Defenders. Both shows more or less follow the life of Jessica Jones and her superhero friends in the city of New York. Jessica Jones, portrayed by Krysten Ritter, is a private investigator in New York with super strength. She is known to be rude and anti-social. 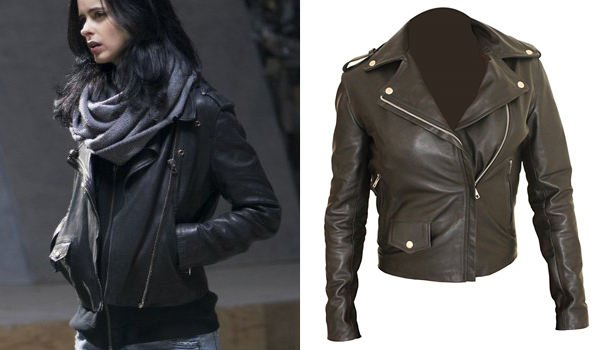 The jacket that Krysten Ritter wears in Jessica Jones and The Defenders for her role as Jessica Jones is a black leather jacket with two zipped pockets and a small front pocket. The costume designer of the show revealed it was an Acne Studios Moto Jacket but it is now discontinued. A quality and affordable replica has been made with great reviews on Amazon. 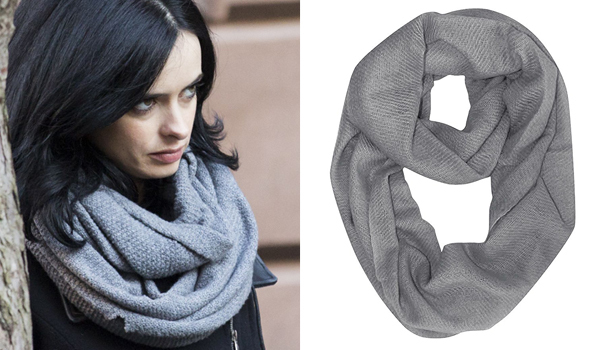 The scarf that Krysten Ritter wears in Jessica Jones and The Defenders for her role as Jessica Jones is a grey infinity scarf. The Peach Couture infinity scarf is a very close match. The jeans that Krysten Ritter wears in Jessica Jones and The Defenders for her role as Jessica Jones are slim and distressed light blue jeans. The costume designer of the show, Stephanie Maslansky, revealed they were Citizens of Humanity Slim Boyfriend Echo Jeans that were distressed by herself. Once again unfortunately, these jeans are discontinued, but you can get yourself a similar pair and have fun distressing them instead of ruining an expensive pair. 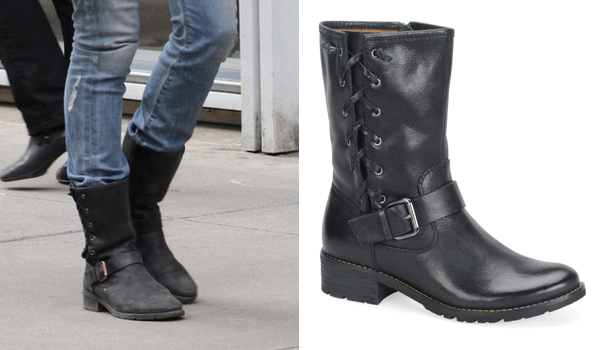 The shoes that Krysten Ritter wears in Jessica Jones and The Defenders for her role as Jessica Jones are black boots with one strap and laces on the side. They are Söfft Acasia Boots... and yes, they are discontinued. So we recommend getting yourself a pair of black boots that you love since they are a fashion staple anyway. 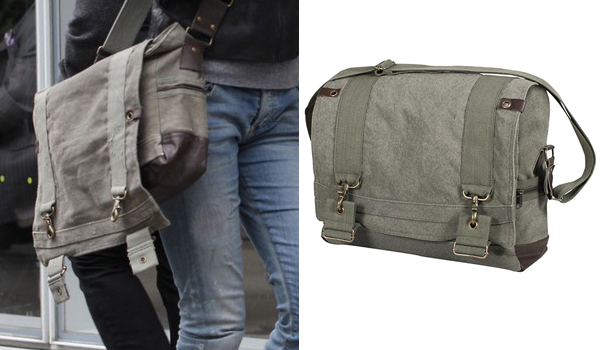 The bag that Krysten Ritter uses in Jessica Jones and The Defenders for her role as Jessica Jones is a large vintage messenger bag. It is the Rothco Pilot Messenger Bag... and it is still available !